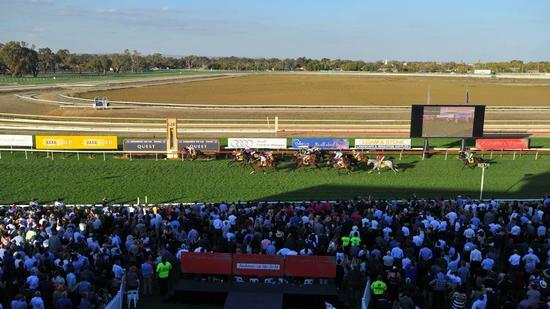 Craig Widdison has accepted with two runners in the form of Charlie's Hero and Baby Don't Cry to the Wagga Riverside Murrumbidgee Turf Club on Tuesday, August 1, though Charlie's Hero looks unlikely to gain a start, currently sitting as the last emergency. Charlie's Hero is nominated for a maiden plate over 1200m with barrier (6), & joins the yard from Qld having last competed at the Sunshine Coast finishing 8 of 12, 10.20 lengths behind Nelumbo with Michael Hellyer aboard. Baby Don't Cry will compete in the Winter Series handicap over 1200m with Ms Chelsea McFarlane aboard jumping from an awkward barrier 12. Baby Don't Cry is a six-year-old Bay mare having won on five occasions and placed six times earning prize money exceeding $133,000 was last seen competing at the Sandown Hillside on July 19 finishing 8 of 10/1400 m with Ms Nikita Beriman the pilot arriving 3.10 lengths behind Miss It And A Bit in a time of 1:27.34. Best of luck on Tuesday at Wagga.